IMAJANE: Marlborough sounds from a caravan! 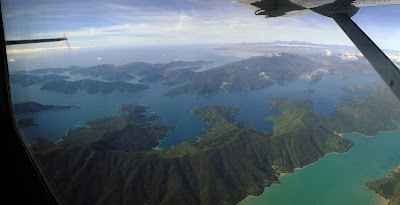 Marlborough sounds from a caravan! Caravan being a type of Cesna aircraft with fabulously large windows making panorama photos possible. Such a beautiful area of NZ to fly over, the colour of the sea always amazes me.